Fifth-grade student Lucca Pozzi in the library of Windham Elementary School is one of 16 students in kindergarten through grade six. Voters last week took what they consider first steps to protect their local control by authorizing the WSD to close the school and sell the building to the town. WINDHAM—Opponents of Act 46 have long predicted that the day of forced school mergers would arrive. That day turned out to be Friday, Nov. 30, when, under the authority of the state education reform law, the State Board of Education released its final plan to consolidate 45 school districts into 11 new unified districts. “The Board supports the General Assembly’s vision for consolidation of school governance as an essential (but not sole) strategy toward improving equity, excellence, and efficiency in the state’s PreK-12 education system,” board members wrote in the plan. Combined with previous education legislation from 2010 and 2012, Act 46 has helped reduce the number of Vermont school districts by 76 percent. According the to State Board of Education, 206 districts in 185 towns were transformed into 50 new union school districts, an overall reduction of 156 districts. Meanwhile, more than 25 existing school districts, including Dummerston, Windham, Athens, Grafton, and Westminster, have signed onto efforts to confront the state in court. A coalition of six lawyers are coordinating the efforts for a legal challenge, which has not yet been filed. One of the attorneys involved told The Commons that the group plans to appeal, or receive an injunction against, aspects of the state’s education-reform efforts, including the new forced mergers before Dec. 28. And a state legislator representing one of the smallest towns whose students are affected says the state education board, in implementing Act 46, has repudiated the very parts of the law that made her feel safe in voting for the bill in the first place. One town at the heart of the controversy is Windham, where most voters have opposed joining with the West River Modified Unified Union School District. The main concern: financial pressures will eventually force the larger modified unified union school district (MUUSD) to close the smaller Windham Elementary, where 16 students in kindergarten through grade six study in two classrooms. Under a merger, the WRMUUSD would own the school building and the school’s property and other assets — a sore point with voters, according to Carolyn Partridge, who represents the town in the Statehouse. Last week, as snow and sleet knocked out electricity across the state, Windham residents overwhelmingly voted to close the school, if necessary, in order to save it. The 67–11 vote authorized two changes. First, the Windham School Board received authorization to close the school in July 2019 and sell the building, property, and assets to the town. Second, the town would tuition its students to schools of the parents’ choosing. In its report, the State Board of Education directed Windham Elementary to merge with West River. This merger, however, is contingent upon a vote by the electorate residing within the West River MUUSD. WRMUUSD Superintendent William Anton said the West River board has not yet discussed or scheduled the vote. Partridge, who also chairs the Windham Elementary school board, commented on the State Board of Education’s report while she was on her way to a school board meeting. She expects the board to wait until the end of the school year before taking any long-term action, as the prospective lawsuit or new legislative actions may change the playing field, she said. In David Kelley’s opinion, Act 46 has the potential to change Vermont forever. 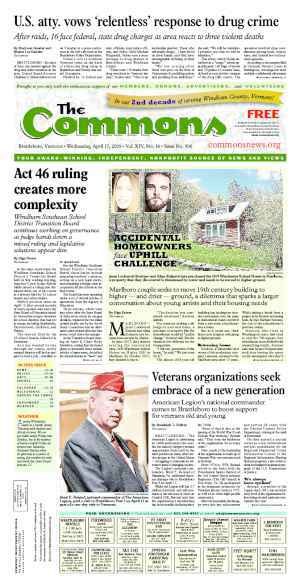 A former school board member who is part of the team pursuing litigation, the retired Craftsbury Common attorney expects legal papers to be filed in two to three weeks. He characterizes the action not as a lawsuit, but as an appeal. The State Board of Education’s decisions could “change our schools in radical ways forever,” he said. Kelley sees Act 46 as “flawed.” He also takes issue with how the Agency of Education and State Board of Education handled the law. The law might rearrange more towns into fewer school districts, but it’s unlikely to save money, he said. So far, the only administration the law has done away with are school boards. In Kelley’s opinion, it has not substantially eliminated salaried positions such as superintendents or principals. Kelley, who would not explore the legalities in detail prior to filing the litigation, said the constitutional issues in Act 46 “are legion,” with some of the problems centering on equal protection and the taking of property. “It’s only appropriate to seek judicial review,” said Kelley, who described his concerns with Act 46 as having grown over many years. One such concern: he believes that the state did not pay enough attention to the testimony it received from concerned citizens in several public hearings this year. Kelley also noticed that Act 46 is working better for larger urban schools than smaller rural ones, a divide that has become a familiar refrain in the controversy over the merits and deficiencies of the new law. And in the abstract, he defended tiny schools like Windham’s. People come to Vermont for its quality of life and its outdoors recreation, Kelley said. Noting that even though in today’s technical world more people can work remotely, he says that without strong local schools to attract new families, Vermont’s rural economy will shrink. Closing a school in a community and moving its students out of town can also disengage families from the school, said Kelley, who worries that disadvantaged families, who may lack resources such as transportation, will hurt the most. Instead, rural communities can stand in their own right, but not if their resources are diminished, he added. Kelley defines a successful outcome to Act 46 as either a halt to the whole process or a fresh look at the law by the Legislature. In interviews with The Commons, Partridge noted that she felt secure in voting for Act 46 three years ago because it contained an “off ramp” — alternative structures, as the law calls them — for schools for which merging failed. She has since changed her opinion about Act 46. Margaret Maclean, a former Vermont principal and international education consultant, disagrees. According to Maclean, school boards derive their authority from the voters who elected them. Many of the communities undergoing forced mergers voted down consolidation, she added. 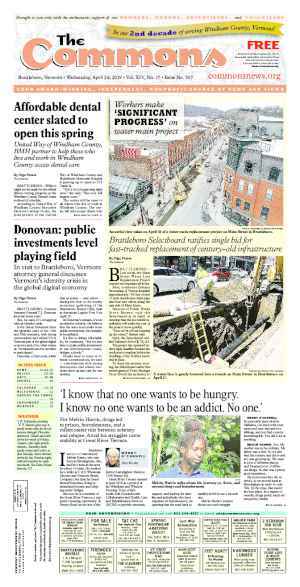 Residents in Brattleboro, Dummerston, Guilford, Putney, and Windham voted against consolidation last year. “The State Board of Education, an appointed board, can rule a forced merger should happen, but without the consent of the voters of a community the elected school board does not have the authority to act to comply with the State Board of Education ruling,” Maclean wrote. Appealing to the court is the best option, she said. School boards are doing so “because they believe the law related to alternative applications was not implemented soundly and with integrity,” Maclean wrote. But Act 46 is law and allows the State Board of Education to decide mergers. Why not just follow what the State Board of Education decides? The short answer from Maclean: No. 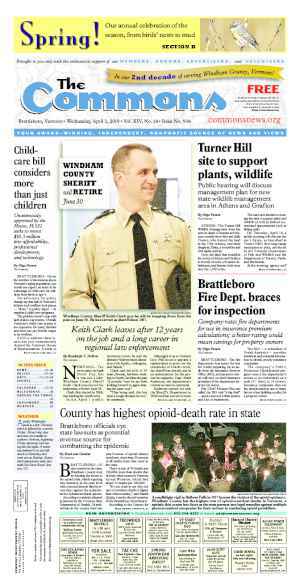 Maclean wrote that a successful outcome for Windham and schools in the Windham Southeast Supervisory Union would be for the state to allow them to chart their own paths. “Let Windham [Elementary] School remain an independent district due to their geographic isolation,” she wrote. Regarding Brattleboro, Dummerston, Guilford, Putney, and Vernon, Maclean supported the towns’ alternative plan as the successful outcome. “It would be support for the implementation of their alternative plan, including Vernon as a part of [a supervisory union] and a reappraisal related to their progress [...] in three years,” wrote Maclean. 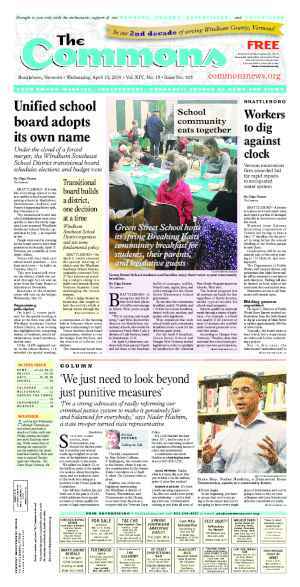 “Whatever happens, the students are going to be fine,” said David Schoales, who serves as a member of the Brattleboro Selectboard and on what is — for now — the Brattleboro Town School Board. He opposes Act 46. Schoales’ stance, however, has softened slightly. While still not a fan of the education law, he has shifted his focus to ensuring that the merger of the individual town school boards of Brattleboro, Dummerston, Guilford, and Putney becomes as successful as possible. The local school board has managed to balance the Act 46 process with keeping teachers and support staff in place, he said, noting that, despite the shifting at the bureaucratic level, the learning and student levels will remain the same. According to Schoales, now that the State Board of Education has released its decisions, Windham Southeast Supervisory Union will start its transition process. The superintendent has 60 days to convene a meeting of the existing board members. Out of that meeting will come a transition board. That board will do the groundwork to prepare the whole supervisory union until July 1, 2019, the state deadline for completing the transition and merger work, Schoales said. One of Schoales’ criticisms of Act 46 is the loss of local school boards in favor of a larger unified board. Traditionally, voters elected fellow residents to serve on their local school’s board. Instead, all the towns within the new supervisory union will vote on the single board to oversee the elementary schools and Brattleboro Union High School in a process that will look similar to electing members of the current BUHS #6 board. In Schoales’ view, this larger, more removed board, threatens the role of community engagement. Without local school boards and their appearance at town meeting, community members will need to make a conscious effort to stay involved with the school system and kids’ education. If the community fails in this endeavor, then Schoales believes, Vermont schools will eventually focus less on kids’ education and more on maintaining a system. Schoales pointed to one positive aspect of the merger: leadership councils within each school building. The council members will be parents, teachers, administration, and school board members, as well as students when appropriate, he said. Schoales anticipates that councils will help mitigate the loss of individual school boards. “It’s really crucial to get those set up to deal with the division within the communities,” he said. Originally published in The Commons issue #488 (Wednesday, December 5, 2018). This story appeared on page A1.